Direct digital UV printing process for traffic sign production. 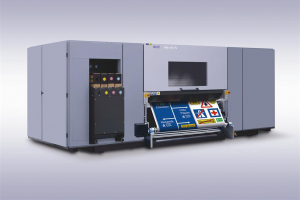 Used for printing directly onto 3M High Intensity Prismatic sheeting and 3M Diamond Grade Cubed sheeting media types. Traffic Signs will meet all requirements in terms of retro-reflectivity and colour with a warranty of 12 years. Digital print solution using UV curable inks for a wide range of rigid and flexible media. Oce VairaDot imaging technology delivers photographic image quality seen at resolutions of 1,440 dpi or higher. Production print speed of 22.2 m2 per hour. 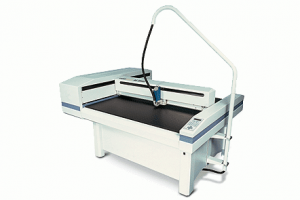 Advanced flatbed cutter/router for a complete digital production. 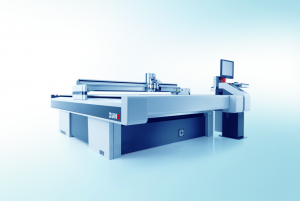 G3 offers complete modularity adapting to changes in cutting requirements and can be used in applications for processing preprinted graphics, laser pointer or optional camera facilitating perfect registration. One machine with multifunctional production capability. 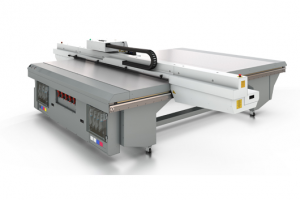 Cutting plotter system used for kiss-cutting and thru-cutting vinyl and reflective material. This module allows for roll cutting with sensors for roll end detection and accurate depth adjustment. Edge sealing is available for prismatic material. 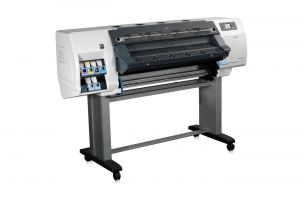 Digital printer for a variety of outdoor and indoor large-format applications featuring durability comparable to using eco-solvent inks while reducing the impact of printing on the environment. Printing on a wide range of media including coated media or polyester fabric and low-cost papers without treatments is achieved.